“I was demonstrating how a backstab works! If I was trying I would have killed you a minute ago.” –Upon being caught by Genet. “Sorry! I did try to be noisy.” –One of the many times Fallaryn accidentally snuck up on and startled someone. “Fallaryn is the most dangerous person in Wildgard.” -Vija in a light-hearted Wildgard conversation. Fallaryn always had a deep interest for all things medieval and fantasy. If the two went together, even better. 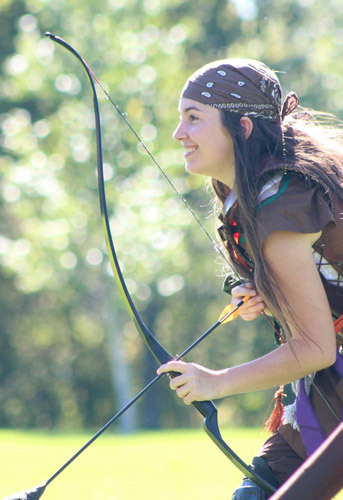 More specifically, her love for archery began early – when she first saw Robin Hood: Prince of Thieves as a toddler. This love for archery had its merits, as whenever she went to an archery range as a child she proved to have excellent aim. Over the years Fallaryn would look up LARP groups and note how far away they all were. She knew nobody who shared her passion, and so she felt that she was missing out on something great. In late spring 2012 Fallaryn began to notice a former classmate of hers – Mahogany – being tagged in some fascinating pictures on Facebook. He had joined a LARP group. At first Fallaryn resisted temptation. The pictures continued to show up on Fallaryn’s news feed. In late October 2012 Fallaryn had had enough, and sent a message to Mahogany inquiring about the group. On November 4, Fallaryn showed up at Wildgard for the first time. 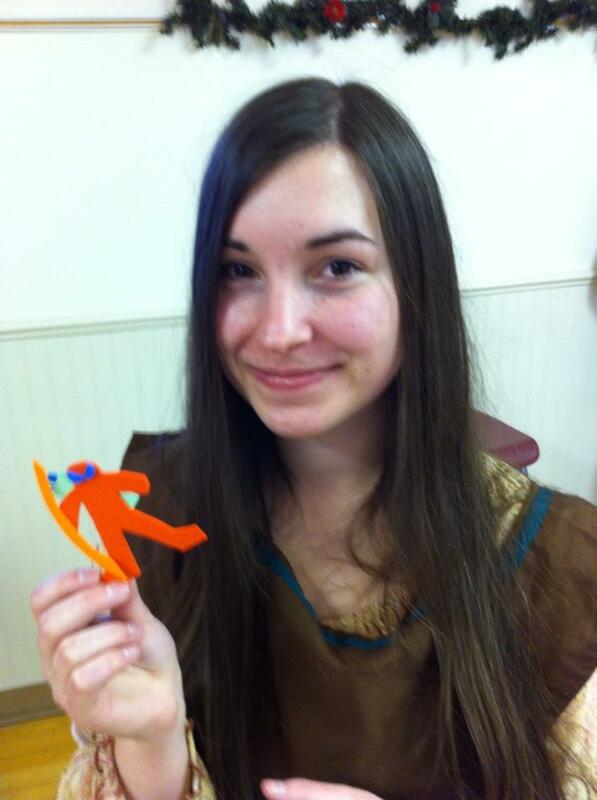 This proved to be a wise decision: Fallaryn made friends, she found an outlet for her archery bug, and in the process learned that LARPing was healthy for her writing muse. She also started to learn how to sew for the first time in her life. Fallaryn assisted Wildgard in raiding Land's End in June 2013, dipping her toe in greater Amtgard for the first time. Even after visiting Land's End again a couple months later, the thirst for travel could not be sated. She attended Summer Trials XI in August. In September she petitioned to join Jackal Company, to which she was accepted as a petitioner. She also became Woman-at-Arms to Lady Silvia Ellibayne. In October she attended Curse of the Great Pumpkin. 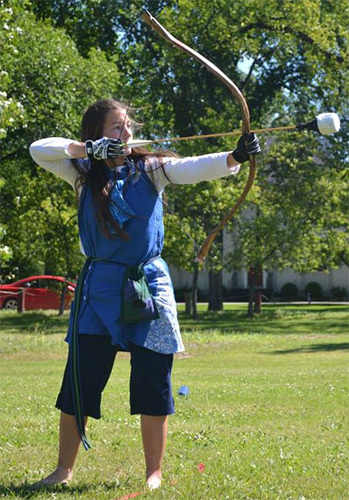 During Wildgard's first Althing in late October, Fallaryn was voted as the park's first Guildmaster of Archers. In January 2014 Fallaryn was again voted for the Guildmaster of Archers position, as well as being elected as Wildgard's Regent. In August she completed her reign as Regent and retained the position of Guildmaster of Archers. At Summer Trials XII she was elevated from a Prospect of Jackal Company to a full Jackal, then elected to the position of Sergeant alongside Mulds in the second regiment. Active participation in the game came to a halt after Fallaryn was injured in a car accident on October 26. She sustained severe whiplash and a concussion, requiring four months of rest and physiotherapy. She began easing back into fighting as of April 18, 2015, when she visited Land's End again. She attended MAME and became Wildgard's Prime Minister in late May, and received the noble title of Lady at the end of the month. To date she has maintained the position of Guildmaster of Archers and is occasionally referred to as Wildgard's dedicated arrow reeve, for she is determined to maintain high standards for arrows to ensure safety. At The Gathering of the Clans XXXIII Fallaryn met several players from greater Amtgard, gaining some understanding of the culture as a whole. She took great interest in the Amtgard Leadership University, being one of the few to attend all eight classes. Notes were taken in each class to pass on the knowledge to those who were unable to attend. 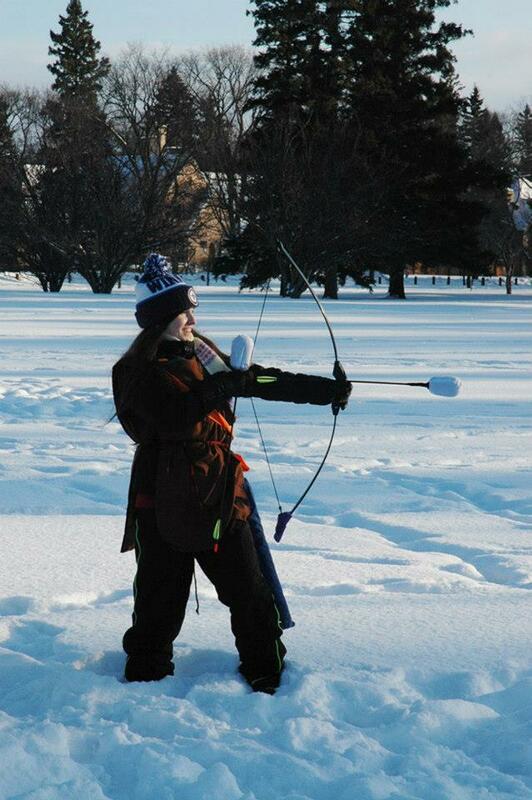 Fallaryn prefers to play the Archer class, whether it's with her 15lb, 22lb, or 30-ish-lb bow. One of her favourite moments as an Archer was when she shot a Petrify out of the air (the subsequent laughter did result in her death - well worth it, in her opinion). She has dabbled frequently with the Druid class, and recently has begun falling back on what she calls the "Armchair Druid" Summoner build when her body is too riddled by injury to use weapons or bows. 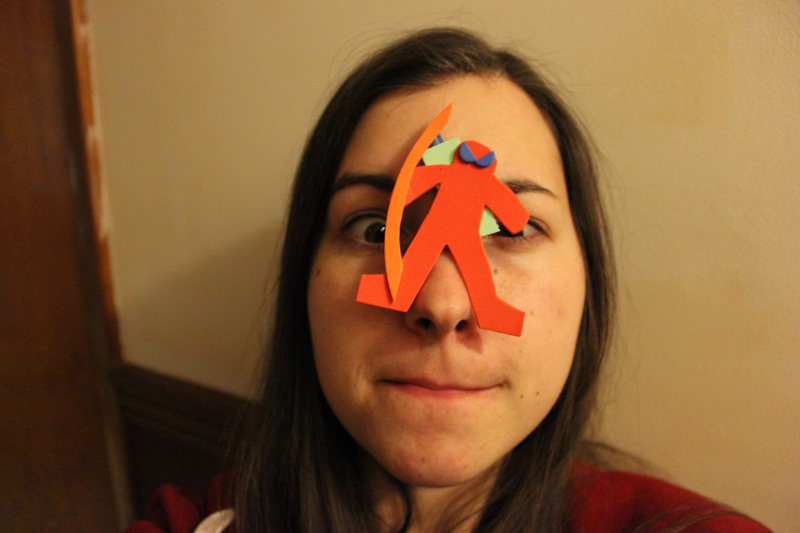 While she does enjoy battlegames, Fallaryn also has a love for Wildgard's quests and storyline. She roleplays as an ancient elf with a dislike toward coyotes and chairs. Nobody knows whose side the elf is on, for she is prone to assisting all sides with little explanation. 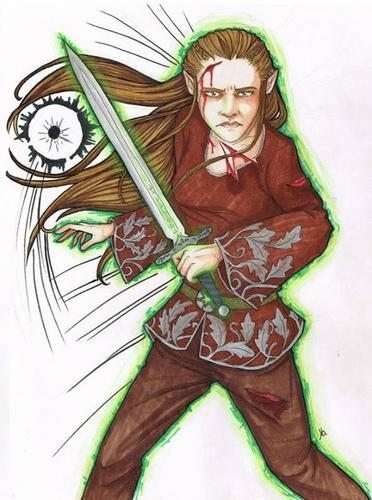 She has not roleplayed as the elf since the car accident, as having some amount of retrograde amnesia has made her forget who her character was. 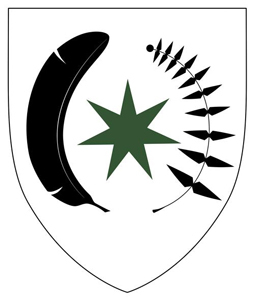 Fallaryn is Woman-at-Arms to Baronetess Silvia Ellibayne via title of nobility. Received the noble title of Lady, given by Prince Etiene. Chose the Noldorin variation, Hiril. First made by Zume Frostpaw during the Iron Artisan at Wildgard's Winter Feast of the SnowFox 2013, obtained by Mahogany, Drazarok, then Fallaryn, who took Archer home. Much fun was had in the days following. Team shooting Kite with Urk –Taken by ? A duel from long ago. Fallaryn lived to the far west of the Wild Lands as a youngling. She tried to be a healer once. There is a particular dislike towards coyotes and chairs, and an uncontrollable fear of the Undead. The Skirits of Wildgard know Fallaryn to be a good ally, tracing back to the war between humans and Kintu a hundred years ago. Some have learned that millennia ago, a demon wiped out her home, killing everyone and destroying everything she knew and loved. This set her on a destructive path that eventually resulted in the stripping of her magic. The full details of those incidents have yet to be unveiled. Following the demise of the ancient demon known as Balthezar in the spring following the long winter, much of Fallaryn's abilities were restored. It was then that she remembered the location of her childhood home - the place where Wildgard's tavern stood. The tavern's barkeep, Thoror, learned that Fallaryn was one of the first elven friends of the dwarves... and also one of the first enemies. Skilled with the bow, Fallaryn is also formidable with druid magic. Weapons frequently seen on her is a bow she refers to as Feather, and a shortsword she calls Fern.